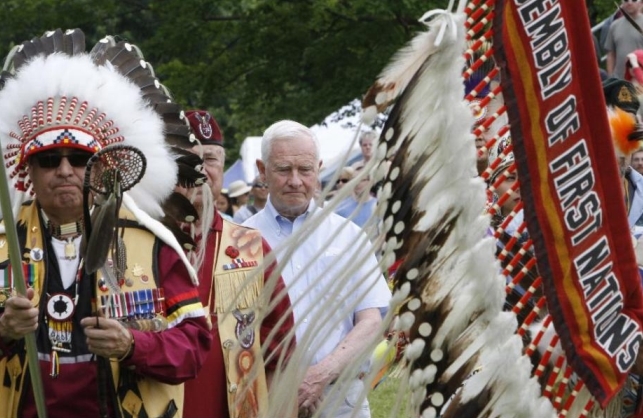 White Wolf : Canadian Governor apologizes: "Indigenous peoples are the original peoples of this land"
Canadian Governor apologizes: "Indigenous peoples are the original peoples of this land"
The comments, aired on CBC’s politics program “The House,” touched off a flurry of criticism on social media, where some listeners complained that Johnston’s remarks reflected a deep-seated colonial mentality. 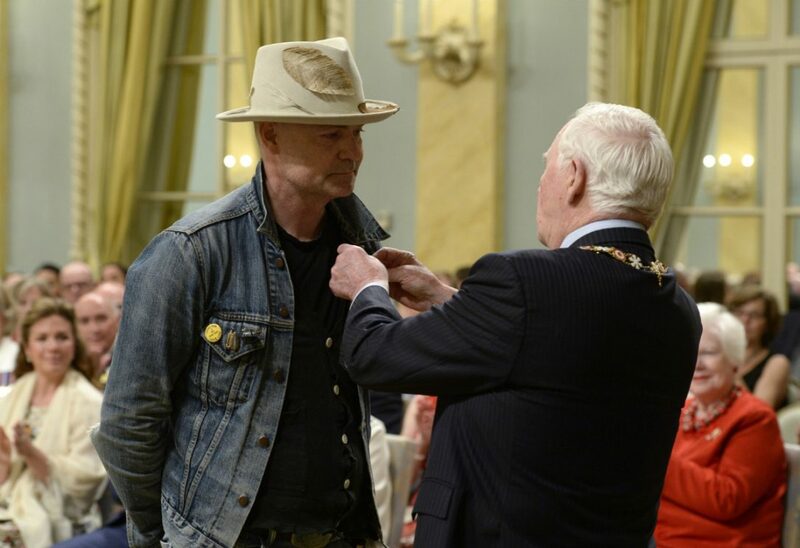 Johnston was presiding over a ceremony in which Gord Downie and 28 others were honoured for their work in raising awareness of indigenous issues. Downie, wearing his trademark feathered hat and weathered denim jacket, stumbled slightly and then embraced Johnston before being inducted as a member of the Order of Canada at the Rideau Hall ceremony. 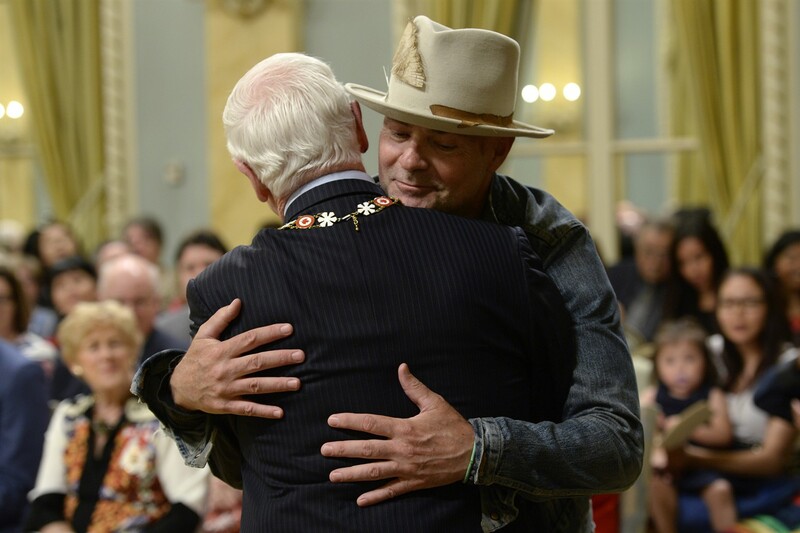 The singer and social activist, diagnosed last year with an incurable form of brain cancer, was being recognized for his efforts to bring attention to the history of residential schools and to advance the cause of reconciliation. 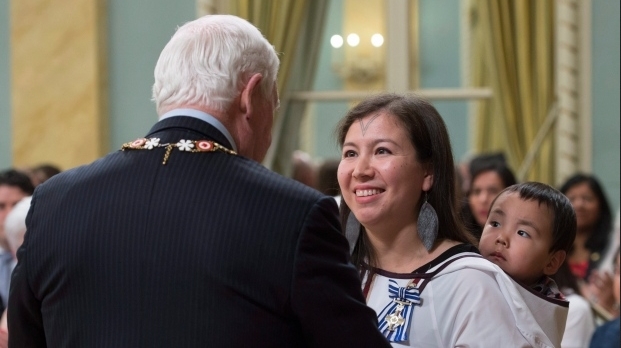 Prime Minister Justin Trudeau was among the dignitaries in attendance and applauded as indigenous activist Sylvia Maracle was named an officer of the order. Jacqueline Guest, a staunch literacy advocate with Metis roots, was inducted as a member of the order while others received honours including the Meritorious Service Decoration, the Polar Medal and the Sovereign’s Medal for Volunteers. 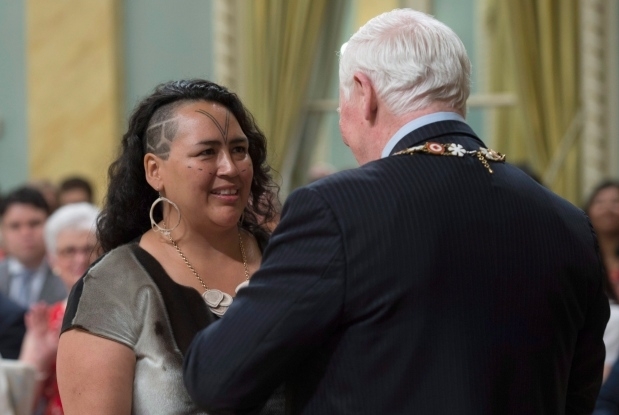 They included Inuit NHL player Jordin Tootoo, Jarret Leaman, an advocate for indigenous LGBT youth and actress and former Liberal MP Tina Keeper. In closing the Rideau Hall ceremony, actor and past Order of Canada recipient Tom Jackson issued an impassioned plea to those in attendance to help create “a better Canada,” saying Canadians are one big family, no matter their origin or colour. Responses to "Canadian Governor apologizes: "Indigenous peoples are the original peoples of this land""